Switcher Go provides users with a plethora of sliders to enhance the quality of one’s video appearance. By default, there is one golden slider on the left-hand side of your screen: the Zoom slider. 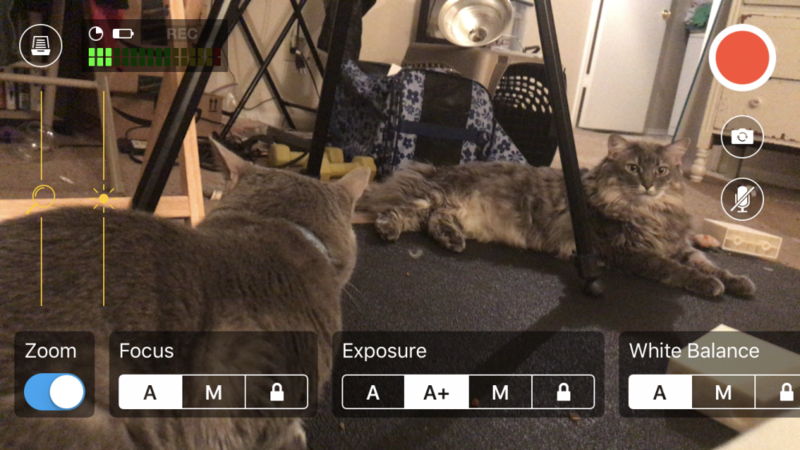 Dragging your finger up and down on the magnifying glass displayed on the slider will allow for a stable and gradual Zoom change, allowing you to zoom your video in and out at your convenience. This works in place of Apple’s usual pinch-to-zoom technique for a more stable zooming process. There are three icons at the bottom-left corner of your screen: a star, a slider, and a connection. 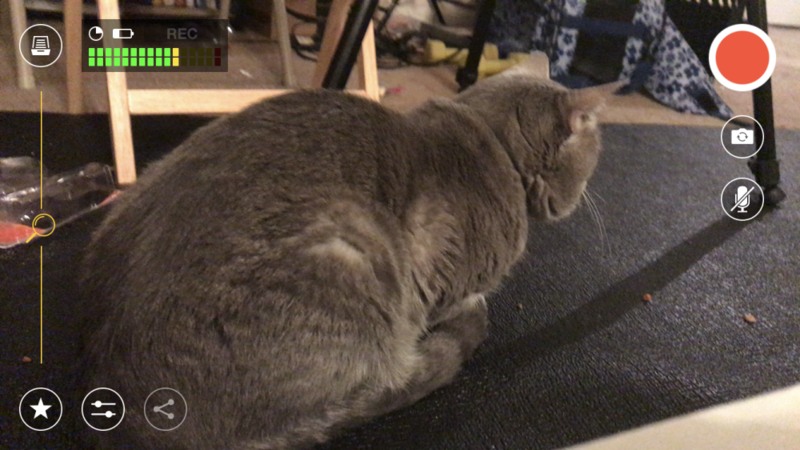 Tapping on the slider will open up a screen with additional controls. 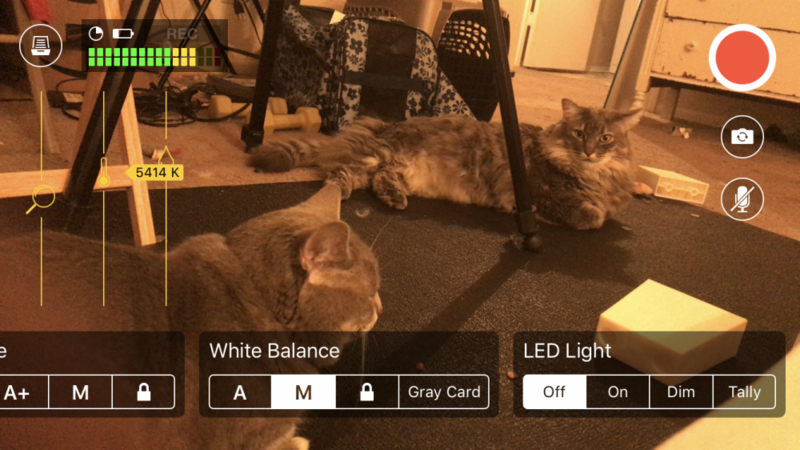 Tapping on the controls for Focus, Exposure, White Balance, and LED Light will cause new golden sliders to display on the left-hand side of your screen. These all work similarly to your zoom slider, causing a gradual change in your video’s appearance whenever you’d like.